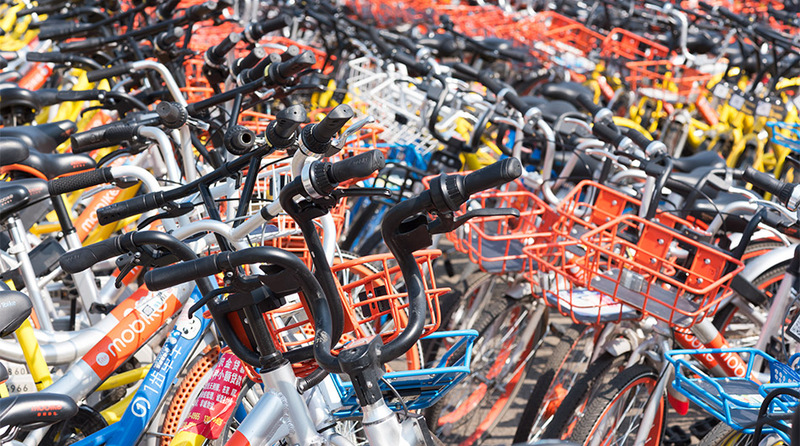 Amid efforts by different parties to push for a merger between the two bike-sharing giants Mobike and Ofo, reports have surfaced that Ofo and Hellobike are set to complete new rounds of financing. News of the update was first reported by NetEase on the evening of November 6, which cited a source saying that Ofo would soon close a new funding round. Financial terms were not disclosed, but the report said that Alibaba would be an investor in the new round. Meanwhile, according to Yicai, Hellobike, which has just completed a $350 million D1 funding round, is already raising a D2 round, the size of which is expected to surpass that of the previous round. Ant Financial, an investor in the D1 round, is expected to join the new round too. That means, if the reports are eventually confirmed, Alibaba and its affiliates will have a notable presence in both firms’ new funding rounds. On the other hand, the push for a possible Ofo-Mobike merger has met with obstacles, as the opinions of investors like Alibaba, Tencent, DiDi and NIO diverge, according to a report by Caijing yesterday. Alibaba’s continued role in the financing of bike-sharing companies may be seen as a clarification of its stance on the merger. It’s also worth noting that Alibaba is now the largest shareholder in Hellobike, while Didi is the largest outside shareholder in Ofo. Obviously, Alibaba is looking to get Ofo under its thumb by doubling down its investment. A battle is being fought on the bike-sharing arena, not among bike-sharing service providers, but among major VCs owned by giants like Alibaba. As the competition for online traffic gets fiercer, companies have all started to vie for offline traffic. As a major gateway for offline traffic, the bike-sharing business has naturally become a hotspot. Plus, both Alibaba and Tencent are counting on this portal to popularise their respective payment and crediting systems. Two days ago, Pony Ma, founder and CEO of Tencent, commented under an article titled The battle on the bike-sharing arena is further fueled with continuing investment posted on WeChat Moments, saying “the bike-sharing business has been leveraged to popularise mobile payment, those poor minority shareholders, they are powerless”. If, as it is rumoured, Alibaba will plough more investment into Ofo and Hellobike. Then, the battle on the bike-sharing arena, “which should have been ended long ago”, will regain its momentum. But, how will this end? 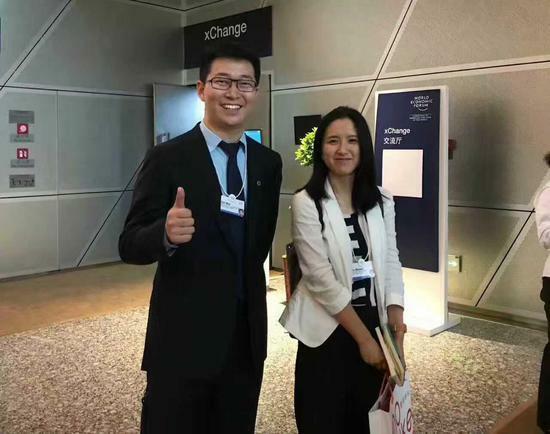 Back at the World Economic Forum, a photo of Dai Wei, founder of Ofo, and Hu Weiwei, founder of Mobike, being together generated much buzz and led many to think that a merger is imminent. They even joked that the two should “make a perfect couple”. But the suspicion was soon suppressed when they both posted on their WeChat Moments, saying that they were just attending an event together and “the public shouldn’t make any wild guesses”. They also denied the recent rumour about the merger flying in the media. But, on an arena where interests of many parties intertwine, do they really have a say in their companies’ future? – In October 2015, Ofo financed from Will Hunting Capital and Hongdao Capital in its Pre-A funding round. – In January 2016, Ofo received 25 million yuan in series A financing led by GSR Ventures, followed by Hongdao Capital. – In August 2016, Ofo completed its A-plus financing round co-invested by ZhenFund and Wang Gang, an angel investor. – In September 2016, Ofo completed tens of millions of dollars series B fundraising led by Matrix Partners China, followed by GSR Ventures and Will Hunting Capital. – On September 26, 2016, Ofo won tens of millions of dollars strategic investment from Didi Chuxing. – On October 10, 2016, Ofo announced the completion of $130 million series C fundraising, including the tens of millions of dollars from Didi Chuxing in series C1, as well as series C2 led by Coatue Management and Xiaomi. – On March 1, 2017, Ofo completed $450 million (equaling to about 3.1 billion yuan) series D funding round led by DST Global, and followed by such domestic and foreign investors as Didi Chuxing, CITIC PE, Jingwei Investments, Coatue Management, Atomico and Macrolink Group. – In April 2017, Ofo raised strategic investment from Ant Financial. – On July 6, 2017, Ofo announced the completion of a new financing round of more than $700 million led by Alibaba, Hony Capital and CITIC PE. Didi Chuxing and DST Global also took part. – On October 30, 2015, the series A funding round wrapped up. – On August 19, 2016, Mobike secured tens of millions of US dollars in series B funding round from Panda Capital, Joy Capital and others. – On August 30, 2016, Mobike received tens of millions of US dollars in series B-plus round of funding led by Vertex Ventures and joined by Panda Capital and Sinovation Ventures. – On September 30, 2016, Mobike raised over $100 million series C round from Sequoia Capital China, Hillhouse Capital Group (Hillhouse) and others. On October 13, 2016, it closed a nearly $100 million series C-plus round. The investors include a range of venture capital firms both at home and abroad, such as Hillhouse, Warburg Pincus, Tencent Holdings, Sequoia Capital, Qiming Venture Partners, Bertelsmann, Joy Capital, Panda Capital, Vertex Ventures, Sinovation Ventures and Wang Xing, CEO of Meituan-Dianping. – On January 4, 2017, Mobike raised $215 million series D round led by Tencent Holdings and Warburg Pincus, with participants including Ctrip, TPG, Sequoia Capital and Hillhouse. – On January 23, 2017, Foxconn Technology Group invested an undisclosed amount in a strategic investment in Mobike and signed an exclusive strategic partnership with the bike-sharing startup. – On February 20, 2017, Mobike received the equity investment from Temasek Holdings, Singapore’s state-owned investment firm and an additional investment from Hillhouse. – On June 16, 2017, Mobike announced its $600 million series E round led by Tencent Holdings, with participation from a number of existing investors such as TPG, Sequoia Capital China and Hillhouse. The list of newly introduced strategic and financial investors includes ICBC International, BOCOM International, Farallon Capital and others. This article first appeared on KrAsia. KrAsia serves latest tech & startup news that’s worth your time, with a focus on China and Southeast Asia.